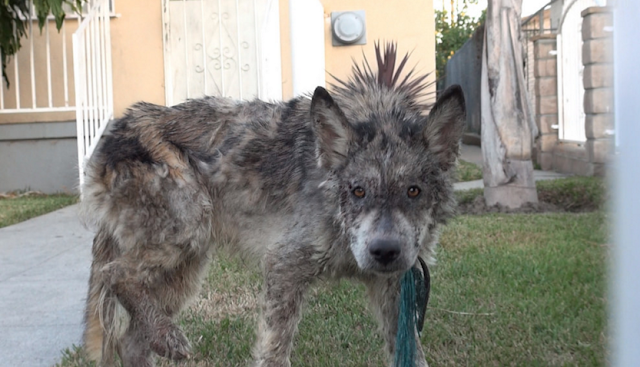 In recent years, wolf-hybrids have gained popularity as a trend pet. While these hybrid animals are beautiful, they often require much more responsibility than a typical dog. 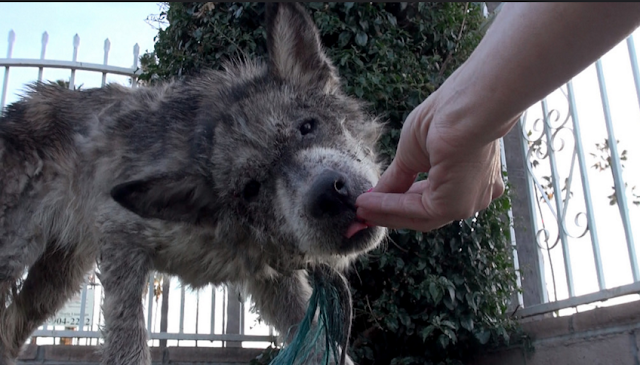 Wolfdog parents end up overwhelmed and underprepared for the challenges that come along with caring for such active and cunning animals, which leads wolf-hybrids to be surrendered to sanctuaries, or worse … abandoned in the streets. The latter was the case when Hope For Paws received a call about an usual rescue. 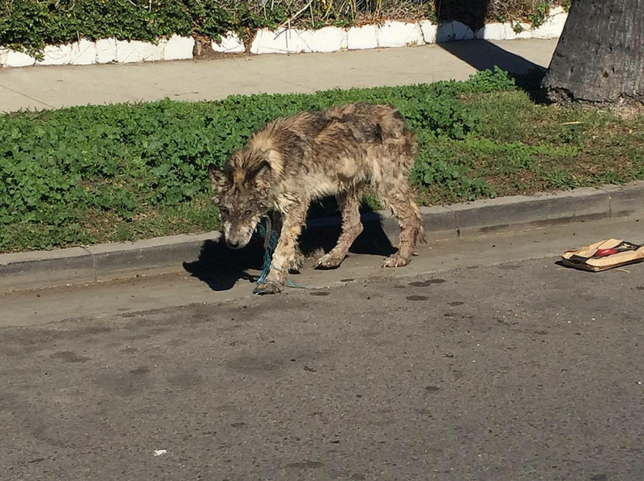 Rescuers were told that a wolf-hybrid had been spotted walking down the streets of South Central, Los Angeles, looking very sick and disoriented. Upon hearing the desperate situation, the team raced into action. 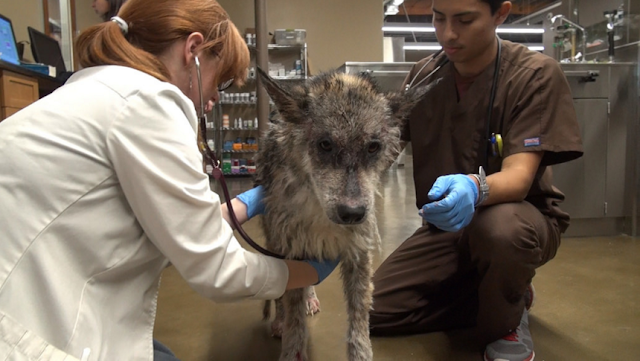 These amazing volunteers were not only able to rescue this abandoned pup, but also nurse her back to health. Now named Julia, she is well on her way to making an incredible transformation. Julia is still in recovery, and it will likely be a while until she is able to be adopted into a loving home. The good news is that Julia is in the experienced hands of the Hope for Paws team and we are sure she will get the special home she needs. Responses to "Lost in the streets of L.A., a very Sick and Disoriented Wolf-Hybrid is Rescued"
Thanks for the incredible help. No living creature is a trend, fashion or toy. thank yous and bless yous!!!!!!!! So lovely to hear and see the good that you beautiful people do .for these poor lost furbabies....I admire you all. So thankful he is rescued. and has someone to take care of him. I'd take him in my home anytime.. I am ready to take a dog again. My last one broke my heart... it's been a couple of years now, and I swore I'd never go through it again. it's time. poor thing...he does look so sad. Hope she recovers soon. 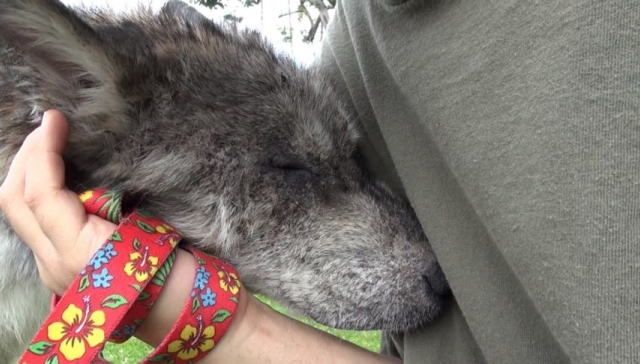 Wolf hybrids take a lot of attention, but the loyalty and love they give are well worth it.. I miss my baby, he has been gone for 16 yrs and took my heart with him. A great 11 years. 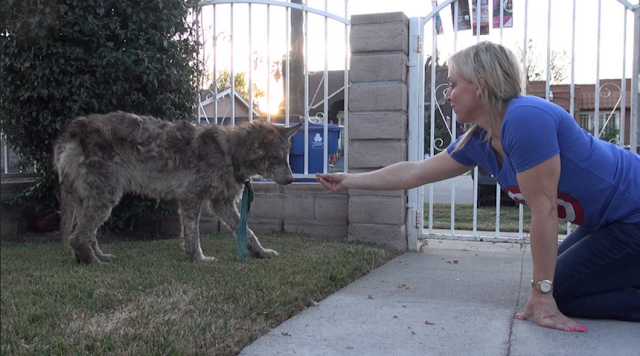 What a beautiful animal, thank you for helping/saving her. I wish her a speedy recovery and a wonderful life! That poor baby! You can just see the sadness and despair in her eyes. Thank you so much for taking care of her. I hope she gets healthy again. We would love to have her.How old is she? Please don't spay her she will be loved as she is.I can't believe people are jerks and so stupid. How would they feel if they were done like this? 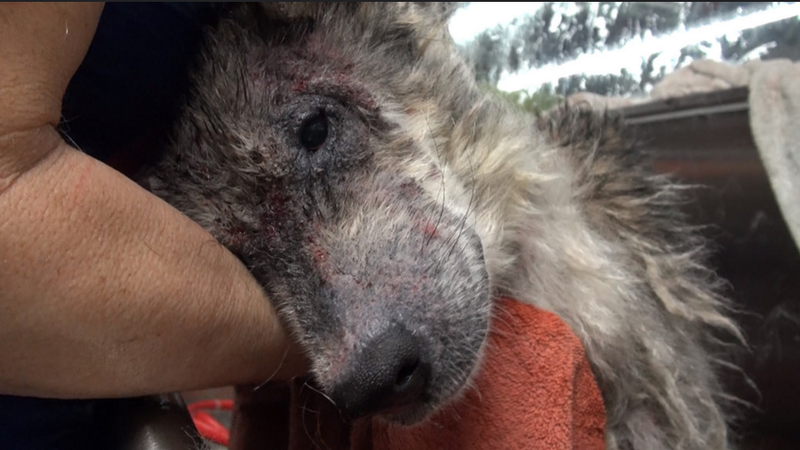 God bless you all for saving this beautiful animal. That happened a while ago and after DNA testing, it was discovered that Julia is not a hybrid nor a wolf. She's actually a mix of husky and shepherd.